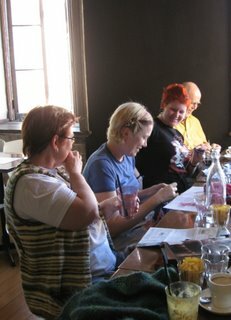 Another weekend of Social Knitting and my spirits are restored. SSK on Saturday was a lovely diversion before I headed off to work. Then, the following day as we were traveling to a Father's Day excursion I just 'happened' to come across a newly formed little knitting group at 'The Kiosk' in Katoomba. 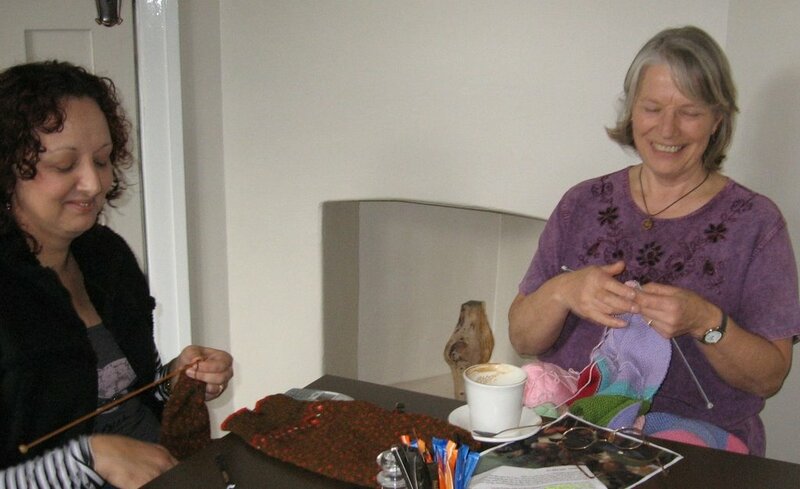 Barbara and Tess had met up at the Knit-in for East Timor Refugees that was held at the Carrington Hotel the previous month and they decided to form a very casual group at this lovely little cafe near the Scenic Skyway. That was our original excursion destination but as there was a bit of a gale force wind blowing nobody minded the diversion. Traveling a "720 meter journey 270m above ancient ravines and dazzling waterfalls" in a box on a bit of steel rope is challenging at the best of times without the added drama of high winds. We did journey on after Fathers Day gift Ties and handwritten cards had been dispensed. 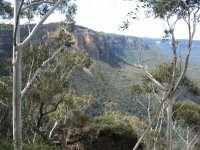 The brisk winds blew away all the clouds and revealed the beautiful scenery of the Narrow Neck Plateau. 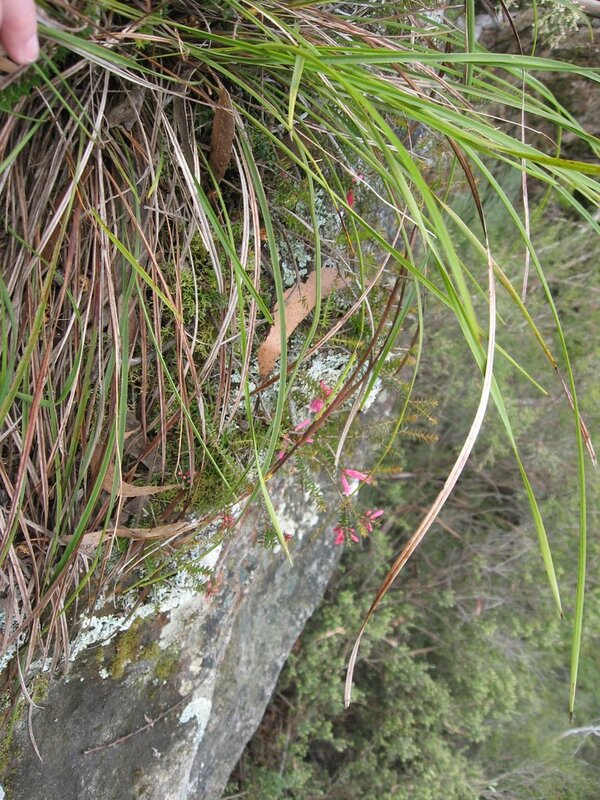 The brief bit of bushwalking we did revealed some spectacular views and exquisite foliage; The native heath, Epacris microphylla, and the pink Boronia ledifolia as well as many, many lovely Banksias, Isopogen and Acacia species. 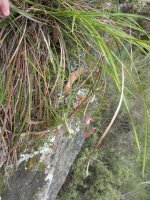 I think this is a little sprig of the rare and endangered Epacris reclinata growing out of a rock crevice (above rather a sheer drop I might add.) Spring in the Mountains is a subtle affair (if you don't count the in-your-face and up your nose wattle blooms) The Bush is rich with delicate flowers that are such a contrast to the northern hemispheres intensity of Daffodils and Cherry Blossoms that feature so predominantly in the Mountain townships. Lovely photos, and it sounds like a beautiful trip. 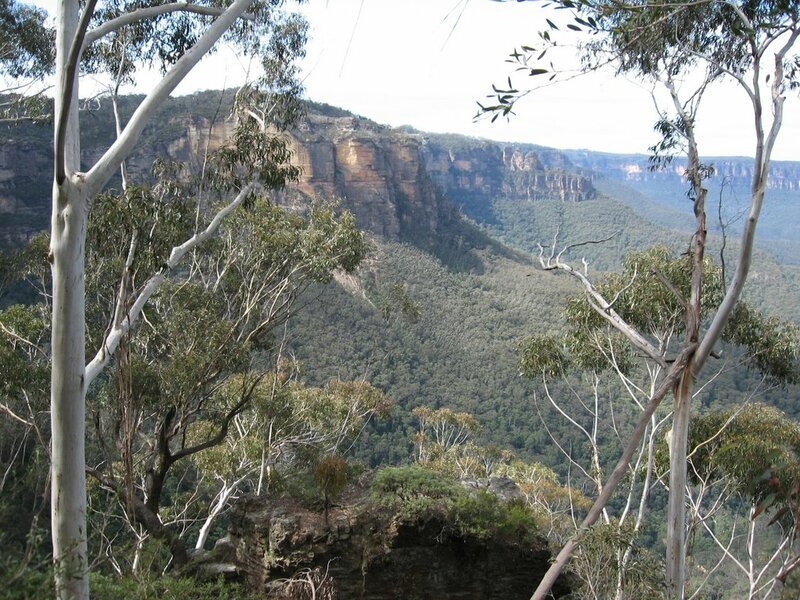 Ah, you've made me homesick for Katoomba and the beautiful Blue Mountains--even though I've only visited them! You're strengthening my determination to revist my Australian friends and some of the places they were gracious enough to show me! A better time had by all. A typical day at the office.